But even the most disciplined clinical practices will generate dirty data. Melissa Informatics can help. 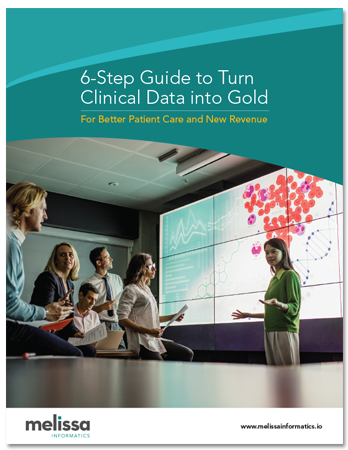 Read our 6-Step Guide to turn your disconnected and dirty laboratory and clinical study data into a clean, unified data resource, and learn how Melissa Informatics can help you tap your under-used data goldmine. © 2019 Melissa™. All Rights are Reserved.